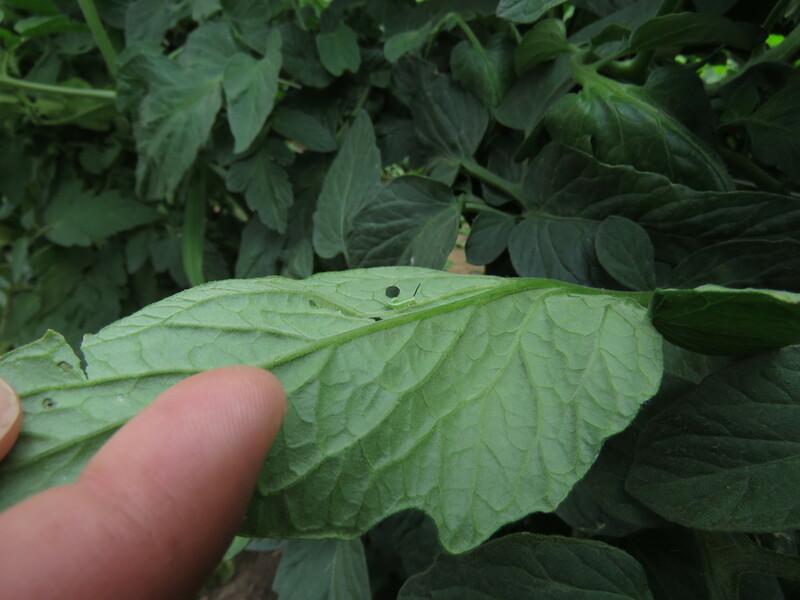 We are seeing small caterpillars feeding on tomato leaves in high tunnels at Pinney Purdue. 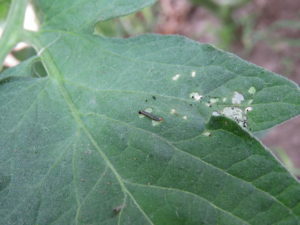 The first sign may be feeding partially through the leaf, or ‘windowpane’ feeding, or small holes on the leaf. By turning the leaf over we find a yellowstriped armyworm or hornworm (Figures 1 and 2). 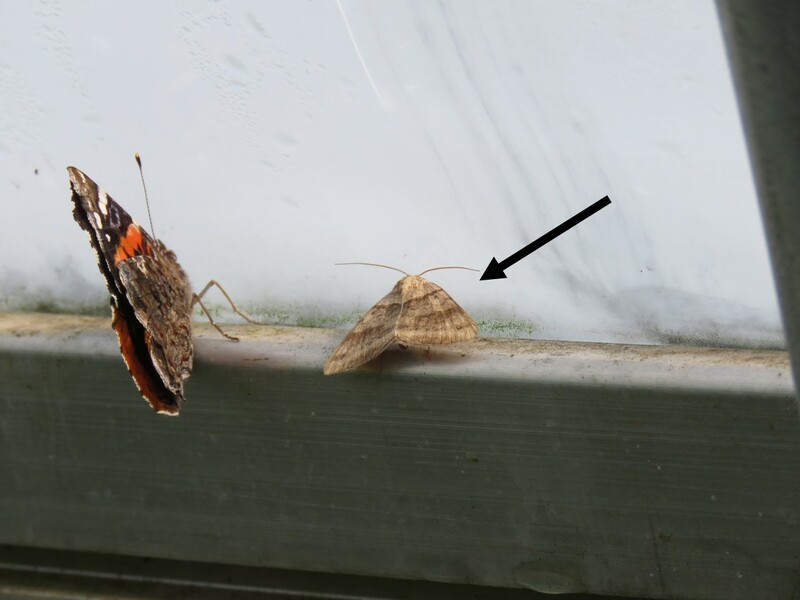 In the morning, we find moths clustered along the hipboard at the top of the sidewall (Figure 3). See Rick Foster’s articles in this issue for information on control.